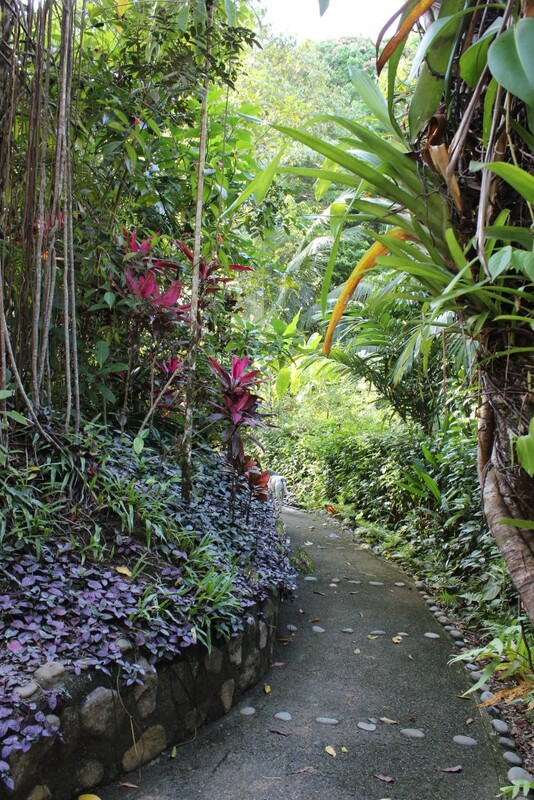 Nestled in the Jungle above Playa Tortuga next to the turtle preserve, each of our five villas boasts its own unique charm. 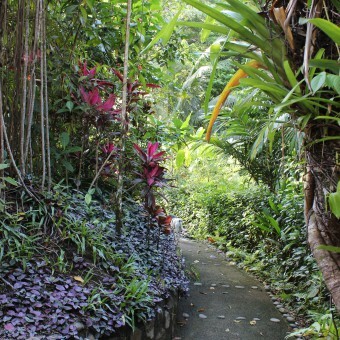 Our moderately priced accommodations give you the opportunity to take in the sights and sounds of the surrounding jungle. 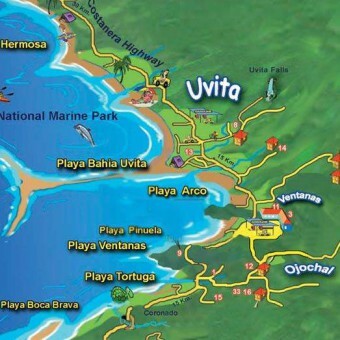 With river and ocean views as well as an abundance of wildlife you are sure to enjoy your stay. 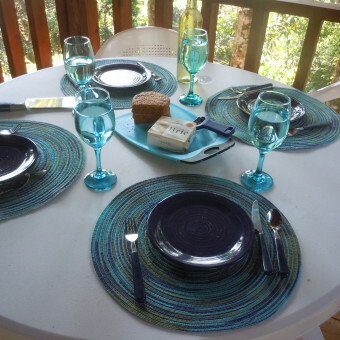 We have two villas with well-appointed Kitchens, 1 accessible villa, 3 with small outdoor kitchens, balconies, and views. 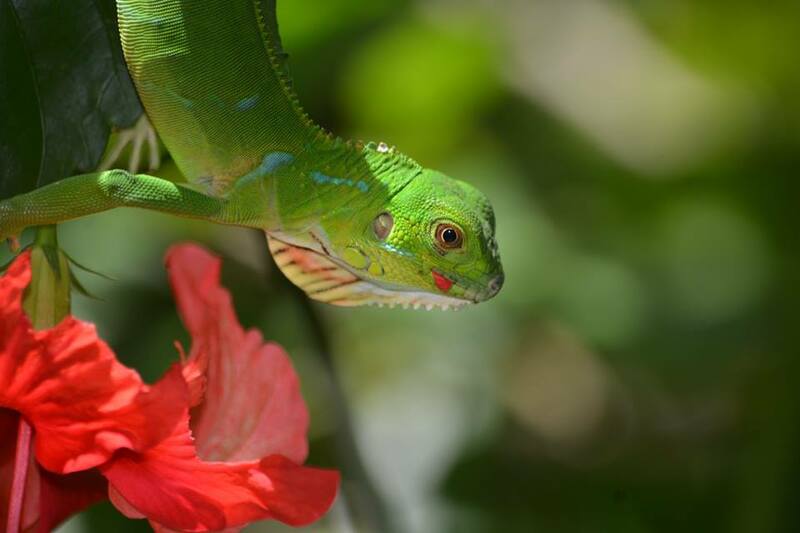 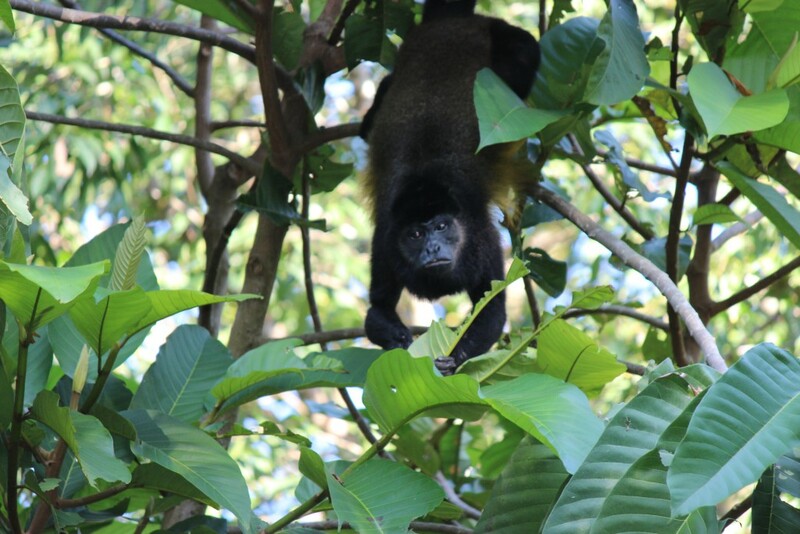 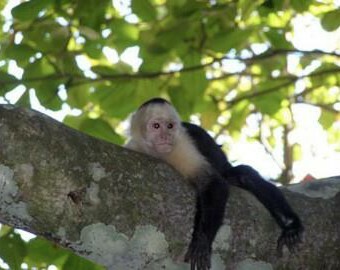 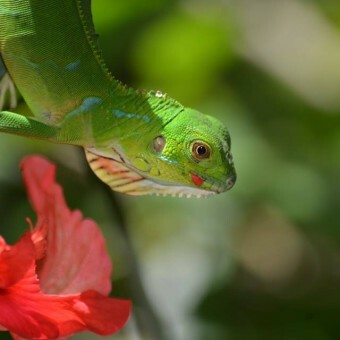 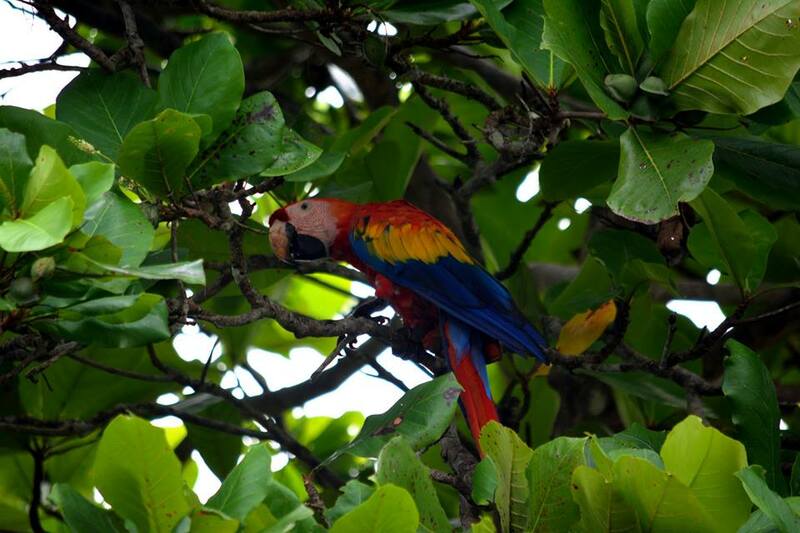 We are frequented almost daily with monkeys, macaws, toucans, iguanas, and many other fascinating creatures of beautiful Costa Rica. 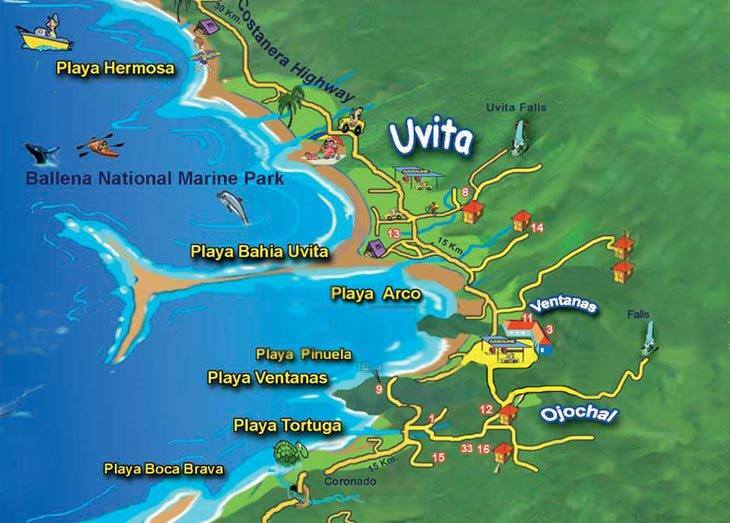 Villa Lapas is large, accessible, and brightly colored. 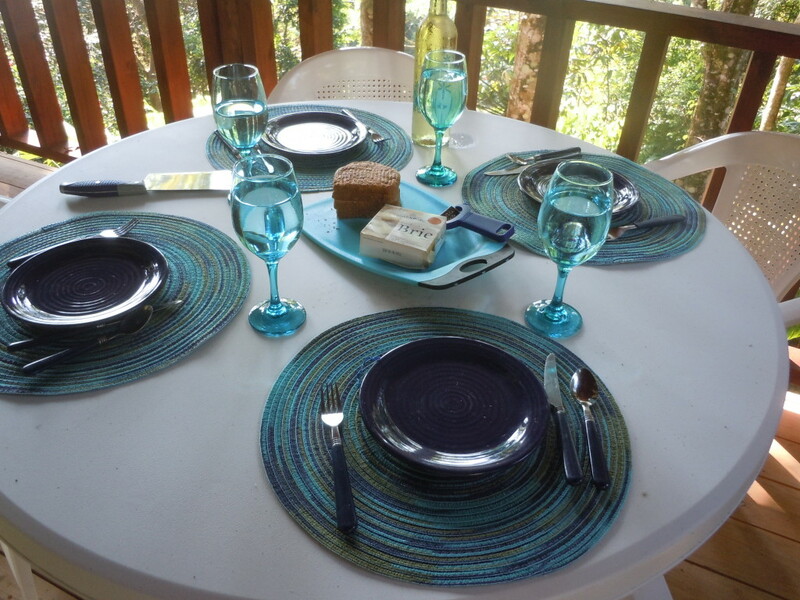 It has 2 queen size beds and a large wrap around porch with wonderful views and an outdoor kitchen. 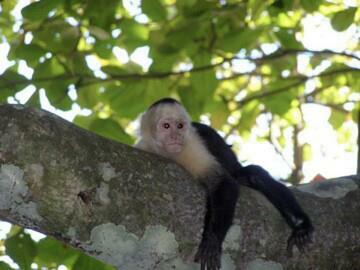 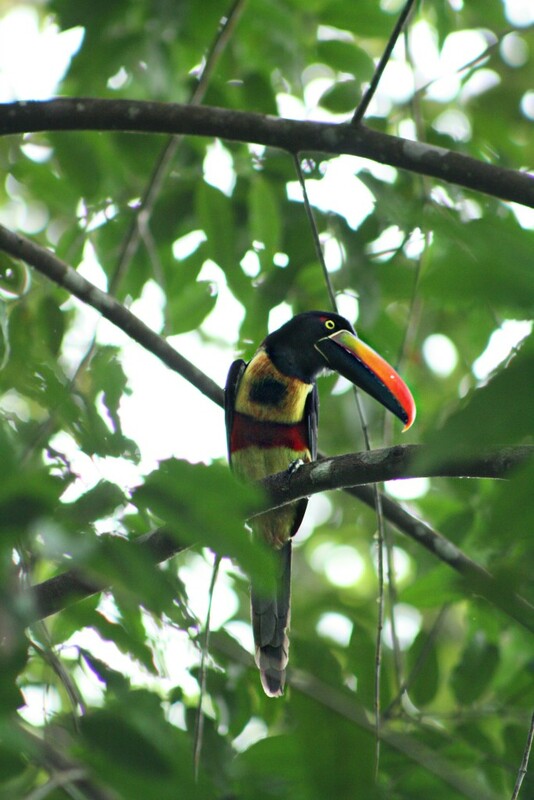 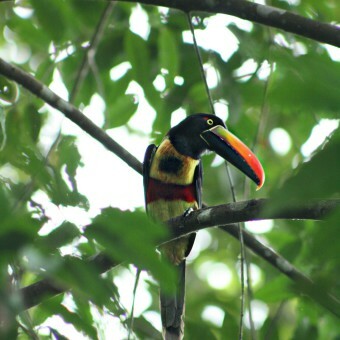 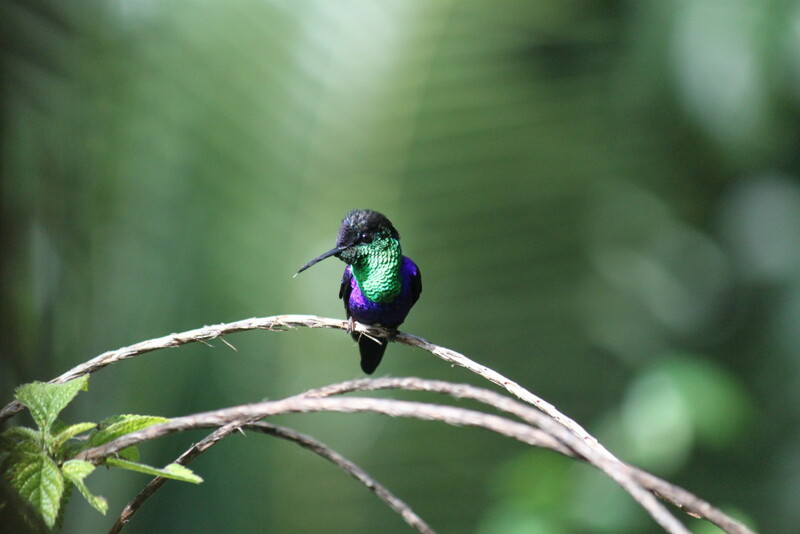 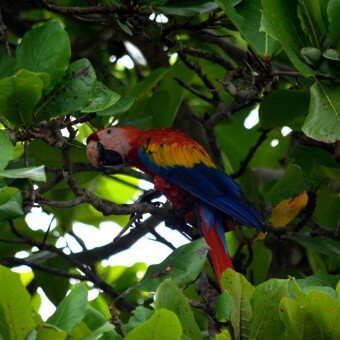 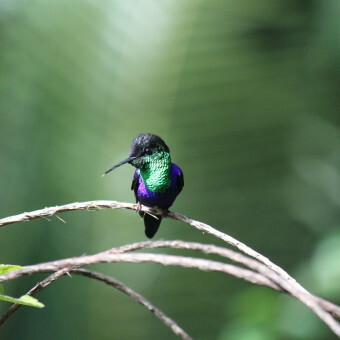 It is near the pool where the visiting Macaws, Parrots and Toucans are seen and heard quite regularly. 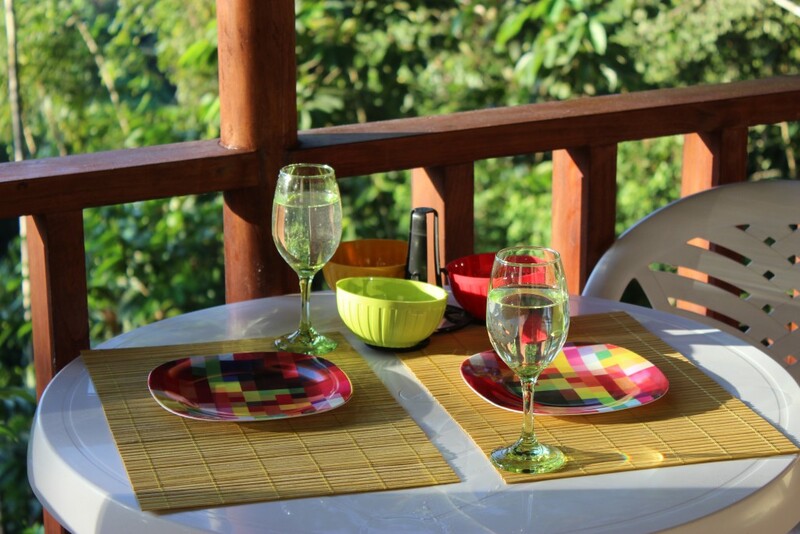 Villa Geckos sleeps 2 and includes a mini kitchen and a tucked away balcony with an outdoor sink area, hanging chair, and a table for two facing the jungle with views of the river and the ocean. 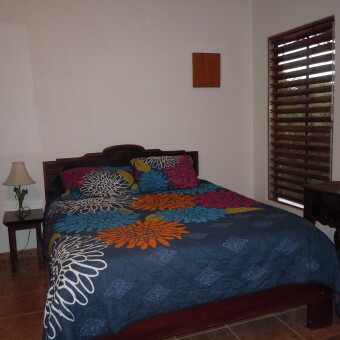 This is a great Villa to use as your home base while exploring any or all of the area’s activities, like coming in from a long day at the beach or sightseeing. 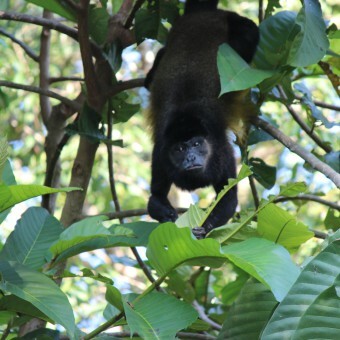 Take a shower, and enjoy your favorite beverage while relaxing and experiencing the sights and sounds of the jungle. 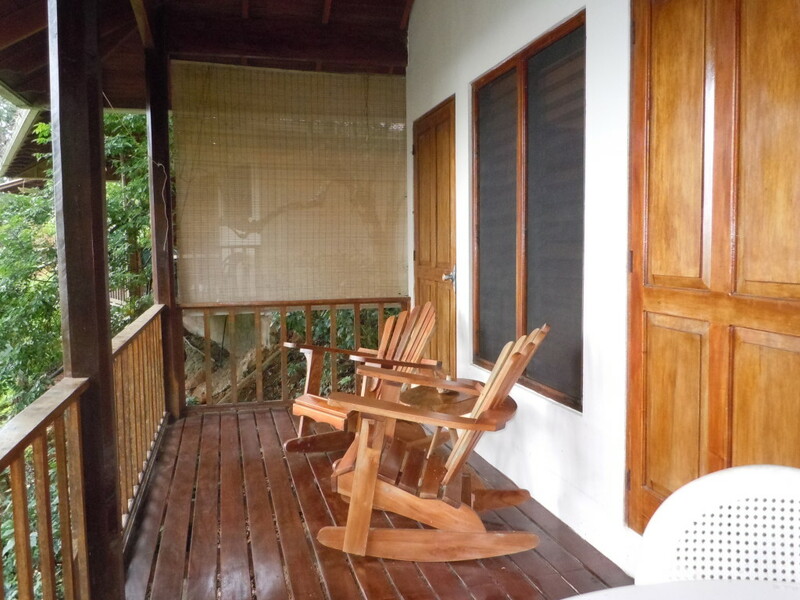 Villa Toucans is similar to Villa Geckos but is an end unit with a private deck and amazing views! 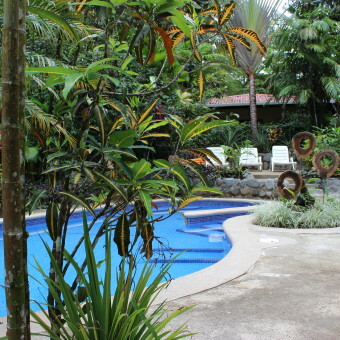 Villa Ranas sleeps four with a private bedroom that has private access to the balcony, as well as a futon in the main room. 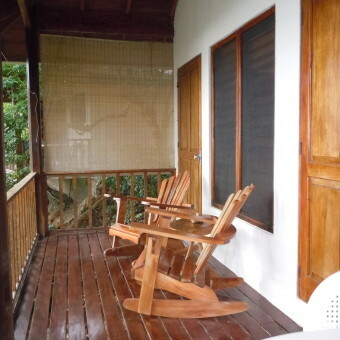 The balcony has ample seating to enjoy views of the jungle, ocean and river-bed where the monkeys sometimes come to bathe. 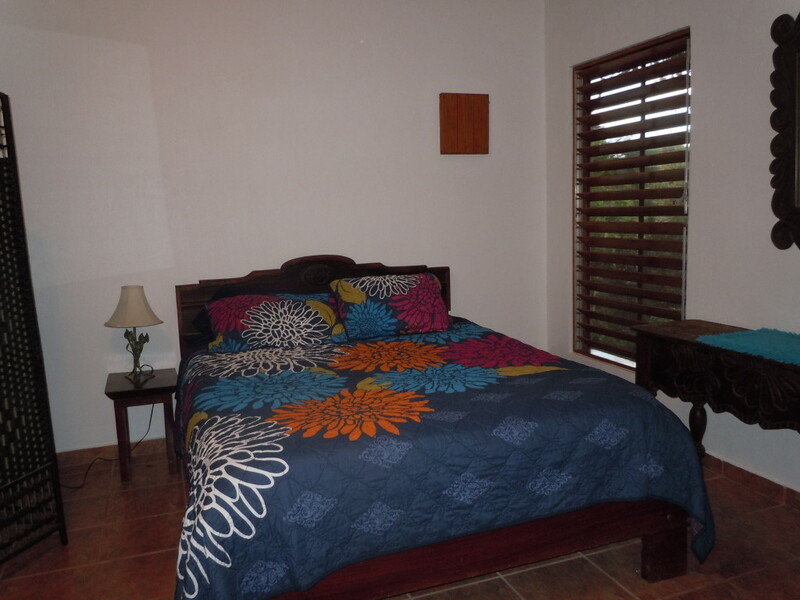 Enjoy this spacious Villa for family or those guests who prefer a longer stay with a fully furnished kitchen. 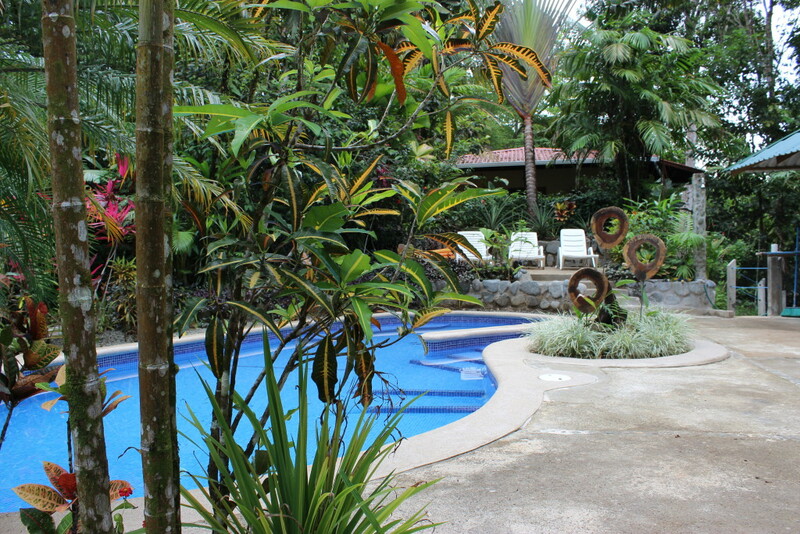 Villa Defines is similar to Villa Ranas. 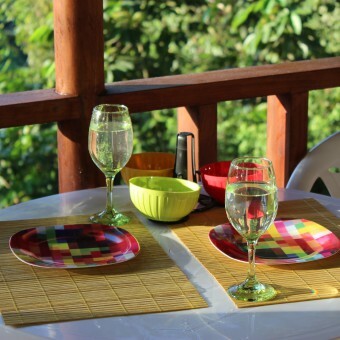 Our area has wonderful tipico comida, and international cuisine as well.